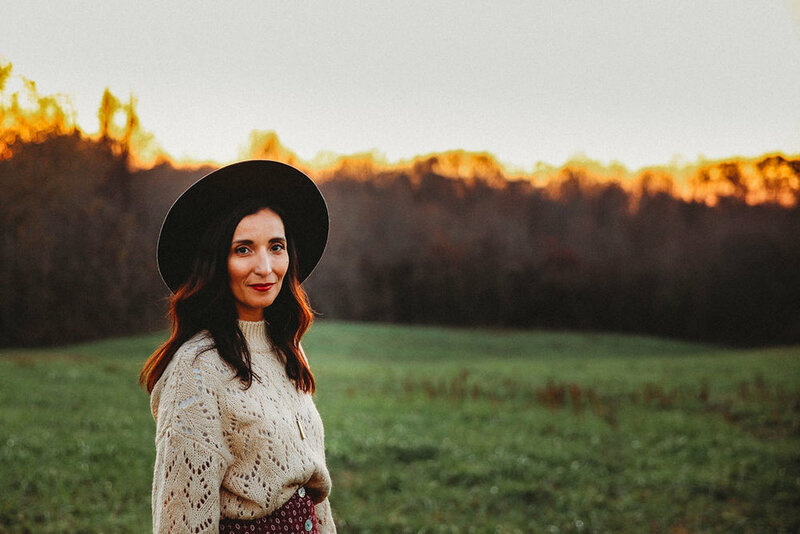 I am excited to introduce Whitney Pope, owner and artist behind The Vintage Nest, as my guest writer for this blog. Whitney was the brains behind this project, and I was honored to be included. I hope that her keen insights on women in community are as encouraging and motivational to you as they are to me. We’ve all had that feeling. You know, that little, sinking, shrinking feeling, when confronted with another woman that is seemingly perfect and beautiful. The supermom that makes your hot mess steam. Or maybe it’s her strength and success that seems to be shining a spotlight on all your weaknesses and failures. I think you already know, but I want to remind you that those feeling are lies. Only by identifying these feelings and calling them out for the false narrative that they are, can we begin to walk a new path, a path where we celebrate one another’s strengths and victories knowing that someone else’s light doesn’t take away from our own. The world needs you to be you. Each of us is truly unique, with a perspective that is uniquely ours, and gifts and strengths that are irreplaceable. Take the time to find out what they are and utilize them in a way that makes you come alive. When we reject the temptation of comparison and instead channel the warmth of another’s light to help us find and kindle our own, the collective light becomes a bonfire. This is the beauty of women empowering one another. 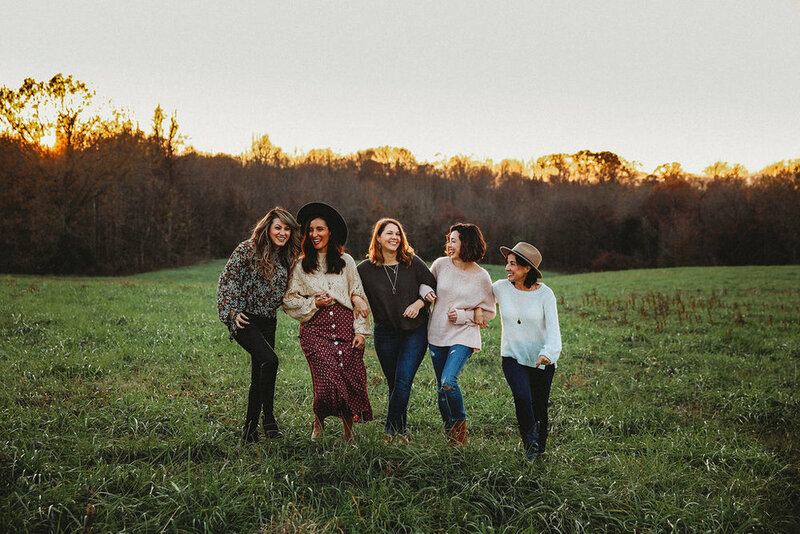 You add to this collective light every time you reject the lie of “not enough,” and instead leave an encouraging word on her recent post, show up at her event, or buy something from her small business. Of course, this doesn’t just apply to women in business. Whether you are a teacher, an athlete, a stay at home mom, a student, or a lawyer, you have the choice of believing the lie or kindling the flame. How do you respond to those “not enough” feelings? Leave a comment below and let us know! These pictures are from a collaboration of female, small-business owners coming together, candle to candle, to turn up the heat! We organized this collaboration to support each other but, in the process, experienced firsthand the beauty of community over competition. May this encourage you to grow your gifts while also empowering the women around you to do the same. My Mom is also the first person to get after me about not taking care of myself. She reminds me not to wait half a decade to buy a new bra. She scolds me when I don’t eat enough or neglect to monitor my diabetes. 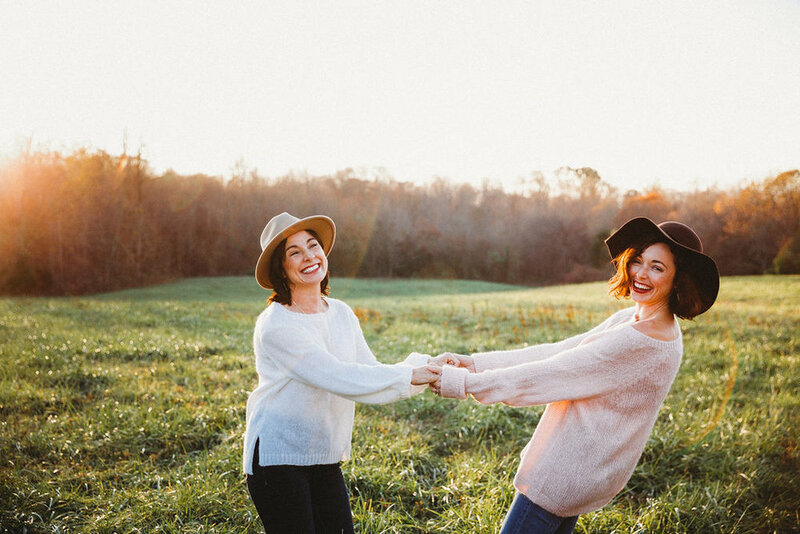 She encourages me to splurge on a new pair of shoes “just because.” My husband, my sister, and my best friends give me hard time about not being kind to myself so…. Learning to treat ourselves lovingly may at first feel like a dangerous experiment. 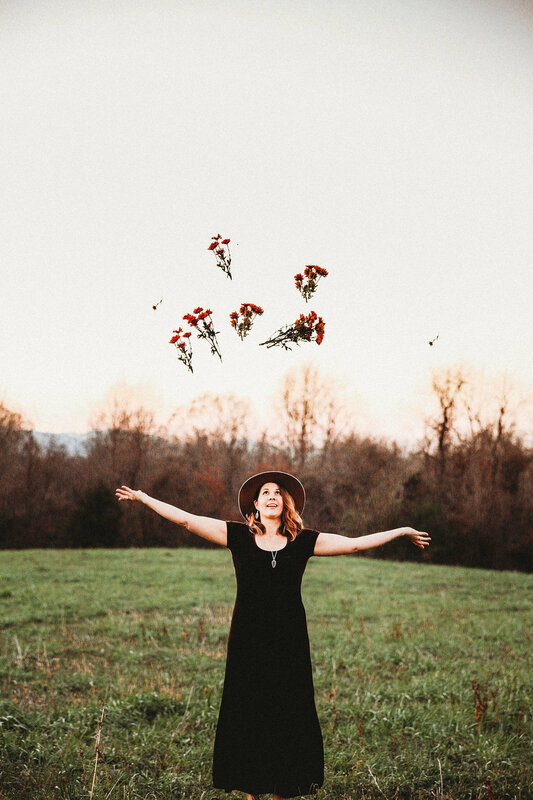 In order to be the best version of myself for myself and for my family, I’ve resolved to stop thinking of self-care as a narcissistic, weak person’s “get out of work free card,” and embrace a new way of living. Haha yep. That’s kind of what I thought every time I heard the phrase self-care. Silly me. I imagine I will regress more than I succeed at first, but recently I had a win, so I am sharing my victory with you in hopes that you might be inspired to do the same. If I don’t take care of myself, how can I teach my daughter to do that as she gets older? We were ballerinas for Halloween. I promise I don’t go around like that every day. I cleaned the living room and ignored the rest of my filthy house. This was a pretty big moment for me. Since I am a stay at home mom/small business owner, when I have time to clean I usually try to get it all clean! I chose not to feel guilty when my husband offered to take our daughter out of the house for a few hours. Considering how much they enjoy spending time together, it’s crazy that I would ever feel guilty, but there it is. Normally when they go out I hunker down and get work done. Heading out on their daddy/daughter date. Being outdoors energizes and restores my soul Every. Single. Time. I also love reading, which I never make time to do. So I laid in my hammock and read a few chapters of A Flexible Faith. The perfect combo to make my contentment barometer rise. On a side note, this book is amazing! I abhor anything that smacks of theology, but it is an interesting, thought provoking, and easy read. You know those tiny “to do” things that you don’t do, but manage to make you feel like a horrible failure every time you see them? Yep, so I repotted some succulents that have been sad and struggling on my kitchen windowsill for months! It took me twenty minutes, and did a world of good for my mental well being. Also more time outside, so win win. These bowls belonged to my Nanna and have been gathering dust in the basement, so extra happiness having them serving a purpose now. Someday I’ll blog about my Nanna. Last, but certainly not least, I took the time to open my computer and write this blog. I love to write, but I have a hard time carving out time for personal writing when there is a never-ending stream of things that seem way more important. Here’s to many more successes on this journey. I’d love to hear about your self-care experiences! 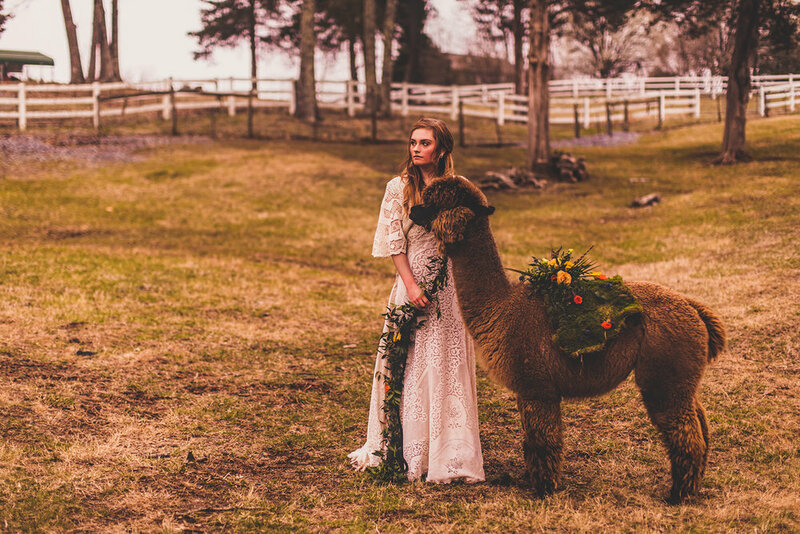 The Making of Alpaca Boho Magic! Inspiration should be the foundation for your shoot. 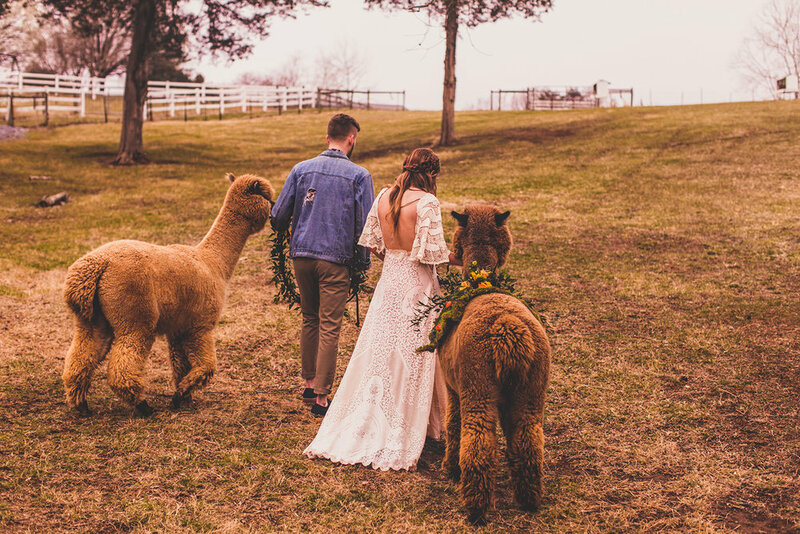 I fell in love with alpacas when two of the cutest fellas arrived as honorary ring bearers, a nod to the bride and groom's love affair with alpacas, at a wedding I coordinated. 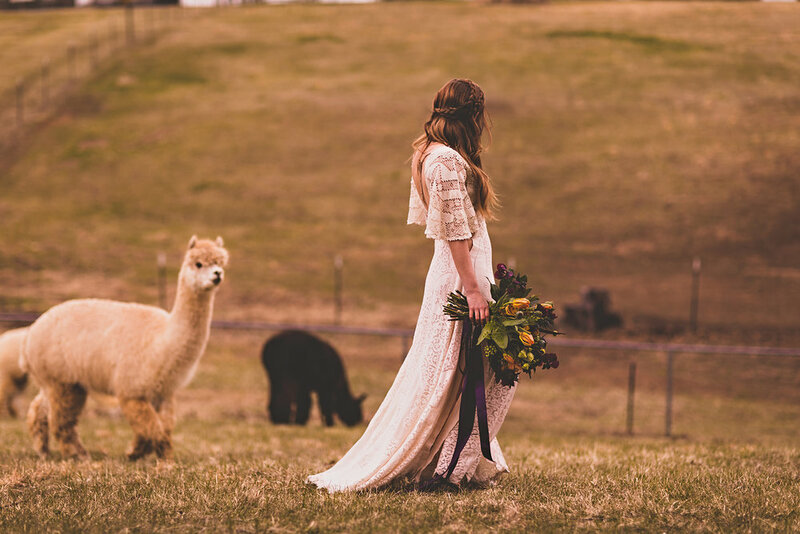 So when I was brainstorming for fun inspiration for this shoot, alpacas for the win! 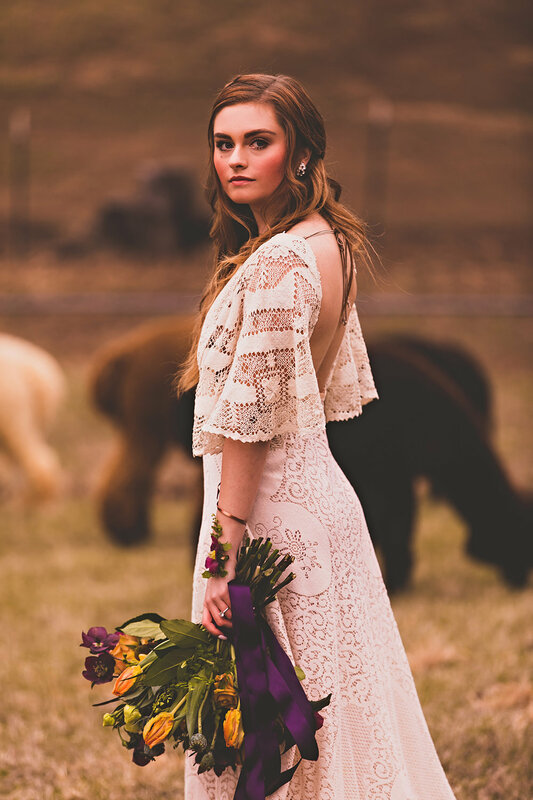 A photo shoot is nothing without a photographer, and Megan Vaughan Photography is one of the best! 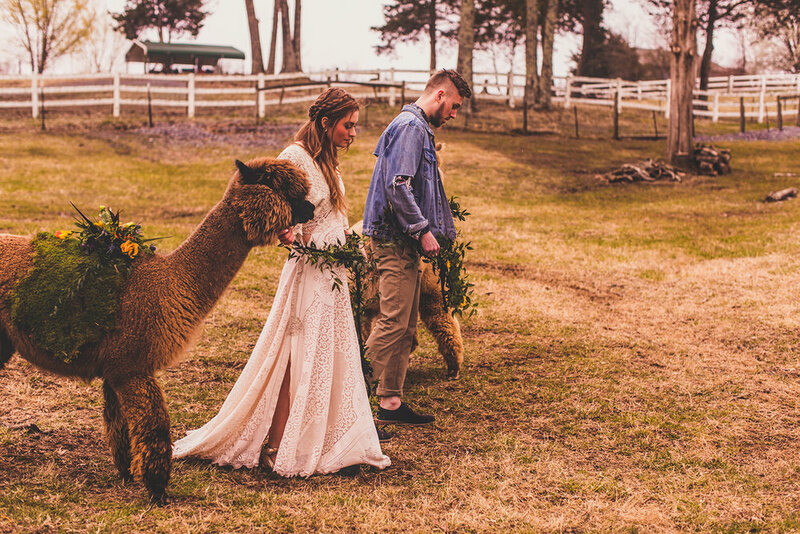 I pitched Megan my concept and she said, "You had me at alpaca farm." You guys, Megan is great. These images are everything! Choose a unique location. 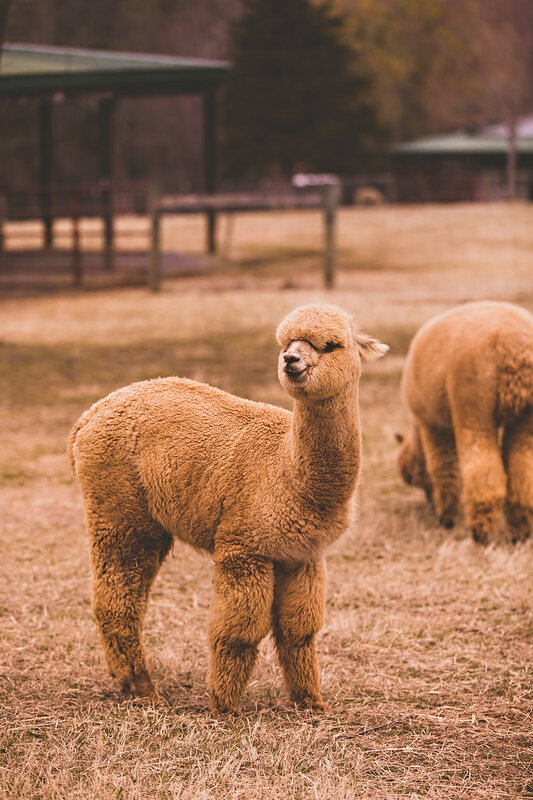 A Goode View Alpaca Farm in Goode, VA is worth a visit! Jim and Lisa are the salt of the earth. Not only did they let me feature their gorgeous animals, but they also have a pristine farm, which they graciously allowed us use for the day. 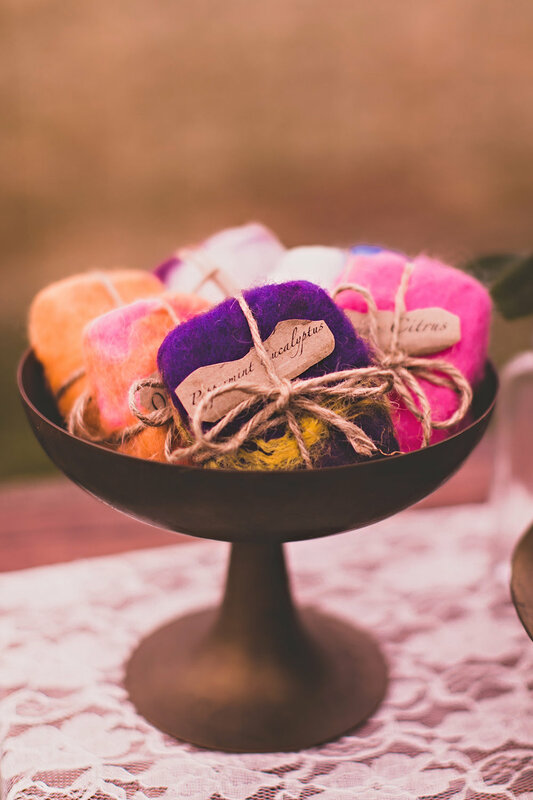 Go check out their beautiful gift shop where they sell things like felted soap and bird nesting balls; attend one of their walking tours; or take part in their annual shearing day! Find styles that inspire you. Megan tagged me in an Instagram photo and I instantly fell in love with Reclamation Design Company. Long story short, Trista's creations are pure Canadian magic, and we were so lucky she let us use one of her designs. Find your models. 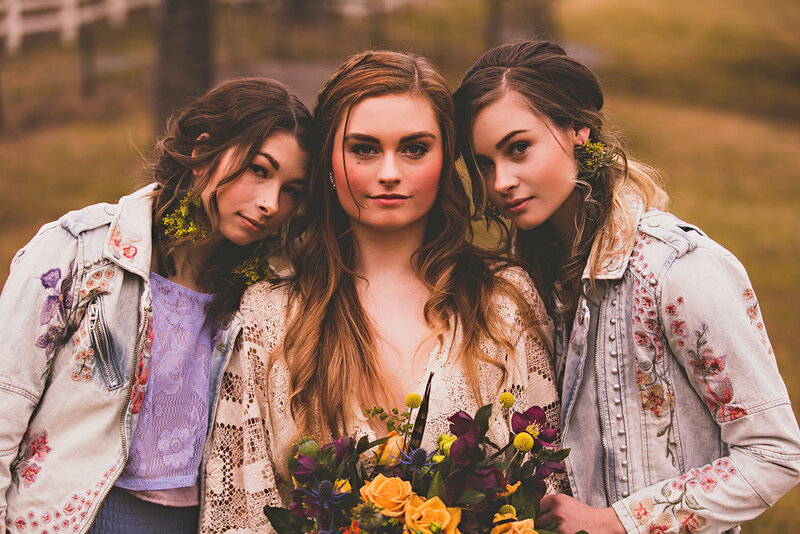 With a styled shoot you can keep it simple and only have a bride, or you can go wild and showcase an entire "bridal party." I have a hard time doing anything small, so I decided to make it a party. These models were an awesome group of people to work with. You would never know that it was a frigid day and sleeting ice by the end of the shoot. Choose carefully. 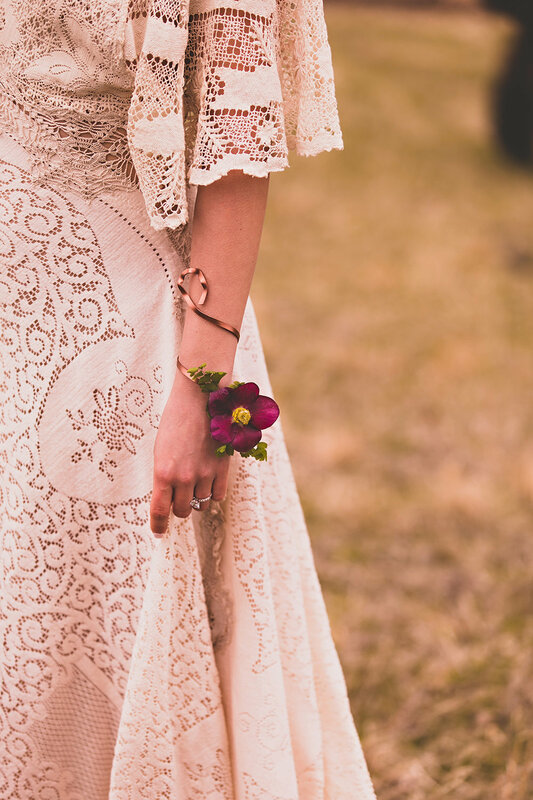 One of the most time consuming, but totally fun parts of a styled shoot are the details. 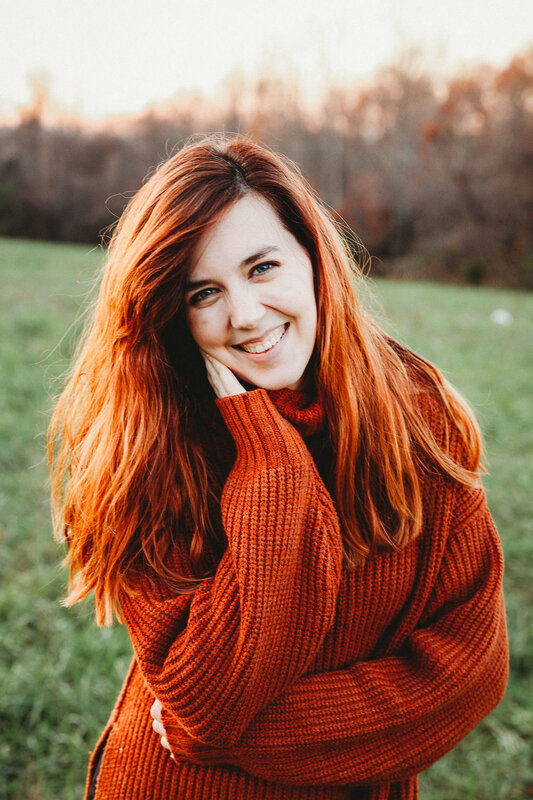 Lynchburg has a plethora of talented folks (see their credits at the end of this post), and I was so lucky they were excited to join in the fun! It's important to have unique elements to set your shoot apart from the multitude. I mean, that amber glass, am I right? They are the stars. No wedding day, real or fantasy, would be a thing without the bride and groom! Bethany and Philip knocked it out of the park. I'm pretty sure they are both alpaca whisperers. I can't rave enough about these folks. I shared my vision with them, and they all used their creativity and design talents to bring it to life. 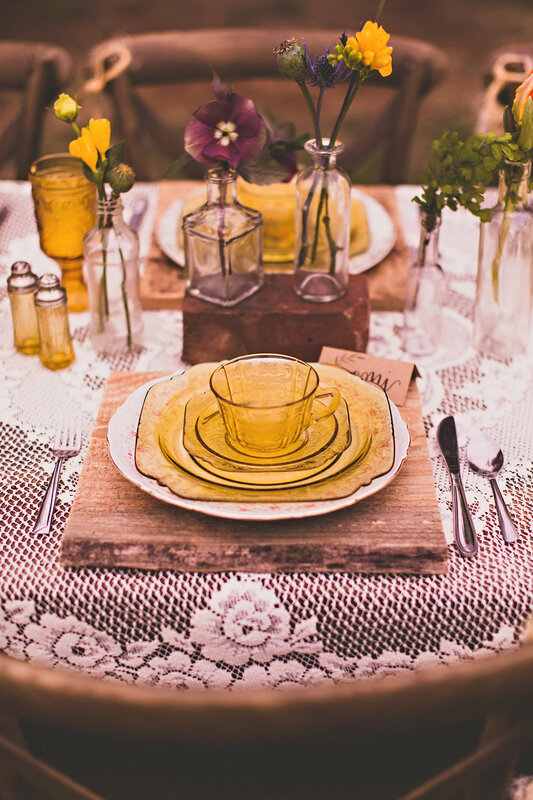 If you are looking for vendors for your wedding, here's a great list to start your search! The hardest part of this shoot? Trying not to include every photo I love in this blog post! I hope you enjoyed looking at it as much as I did putting it together. 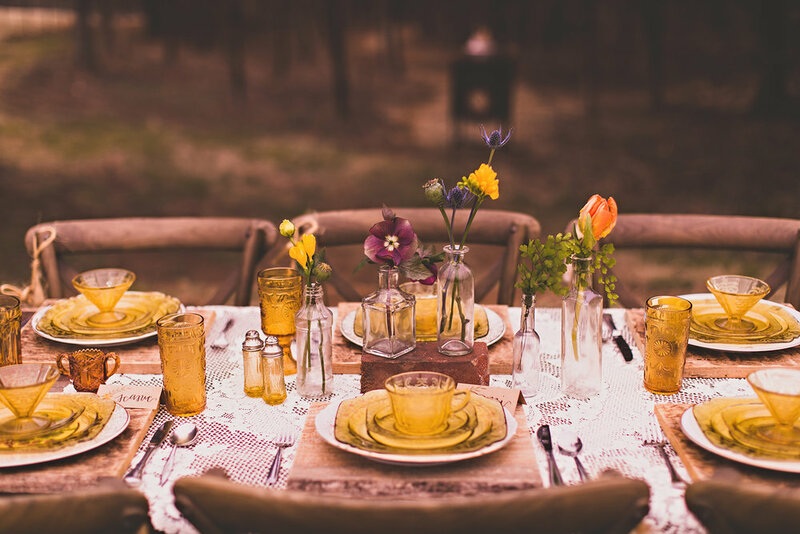 If you have an event coming up, let me help you bring your personal inspiration to life!